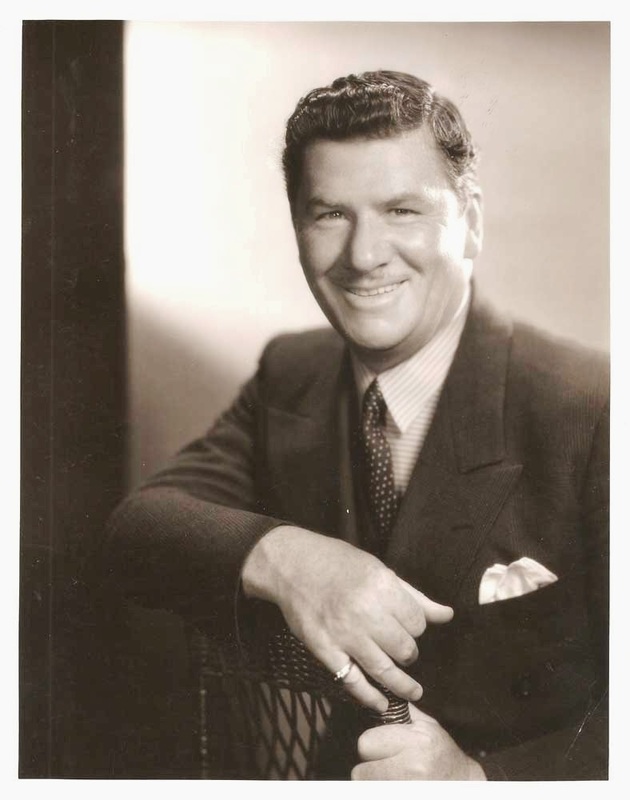 George Bancroft is remembered today for his memorable supporting roles in films like Angels with Dirty Faces (1938), but, throughout his colorful life, Bancroft was a silent film star, a rancher and a Naval hero. George Bancroft is a familiar face to many old Hollywood films fans for his stellar supporting work in many movies made in the late thirties. Bancroft played blustery authority figures in many classic films: He was the sheriff in Stagecoach (1939), the strict prison warden in Each Dawn I Die (1939) and a corrupt businessman in our Movie of the Month, Angels with Dirty Faces (1938). Betty Compson and George Bancroft in Josef von Sternberg's gangster classic, The Docks of New York (1928). Bancroft was born in Philadelphia on Sept. 30, 1882. He enlisted in the U.S. Navy as a young man. Bancroft was serving as a gunner on the U.S.S. Baltimore when the Spanish American War broke out, and he fought in the Battle of Manila Bay in The Philippines. He continued with the Navy after the war. In 1900, Bancroft earned a commission to the U.S. Naval Academy by swimming beneath the hull of a damaged ship to help repair the vessel. Bancroft graduated from the Academy, but by this time Bancroft, who liked to stage plays while aboard ship, was bitten by the acting bug and he left the Navy to pursue a theatrical career. 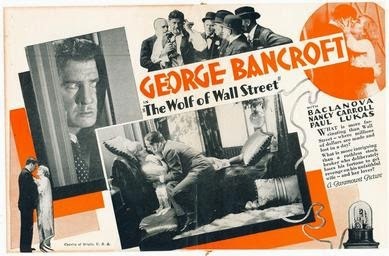 George Bancroft was the star of the 1929 version of The Wolf of Wall Street. Bancroft started out as a vaudeville comedian, doing impersonations of Mark Twain and Civil War hero and President Ulysses S. Grant (one has to wonder what an impersonation of Grant would be like and how it would be funny). Bancroft eventually moved up to Broadway where he appeared in sentimental melodramas like The Rise of Rosie O'Reilly and Uncle Tom's Cabin. 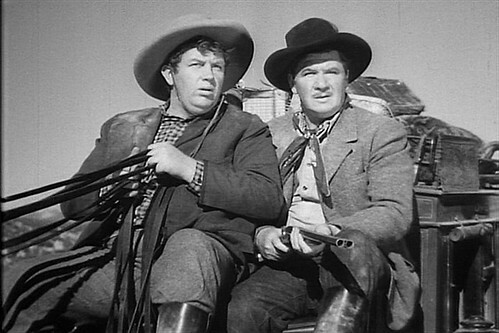 Andy Devine and George Bancroft in Stagecoach (1939). Bancroft moved to Hollywood in the early 1920s. He made a memorable movie debut as a brutal mountaineer in the now-lost silent Western, Driven (1923). That film brought Bancroft to the attention of director James Cruze, who cast him as the villain in his all-star Western, The Pony Express (1925). Bancroft, playing a scheming crime boss, stole the picture from big stars like Wallace Beery, Betty Compson and Ricardo Cortez, according to The New York Times review. The reviewer noted that Bancroft gave an "outstanding performance" and that he "killed his enemies in the most nonchalant manner." 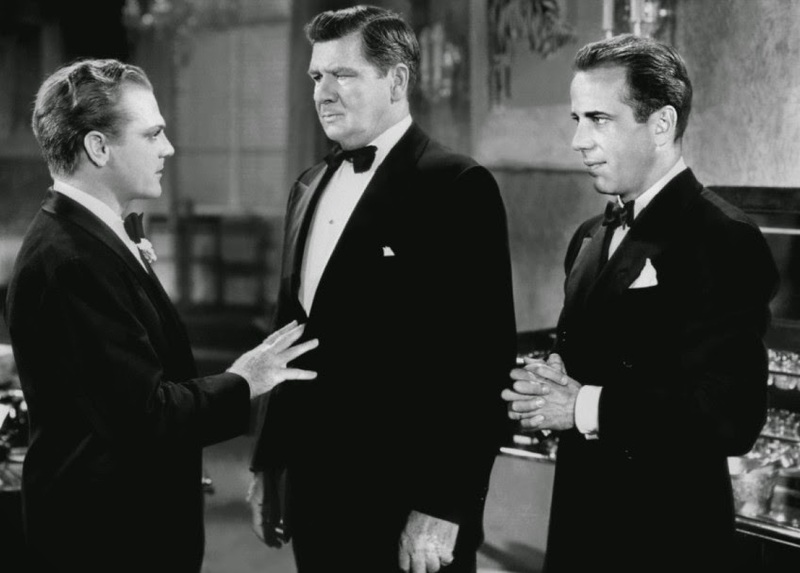 James Cagney, George Bancroft and Humphrey Bogart cut a deal in Angels with Dirty Faces (1939). The Pony Express led to a lucrative career in silent films for Bancroft. He played many villains opposite Western superstar Tom Mix. In fact, Bancroft's insolent baddies became so popular that audiences began rooting for Bancroft instead of Mix, according to The New York Times. Bancroft became a huge star in the late twenties after he was put under contract by Paramount Pictures. Bancroft earned great fame playing tough gangsters in two classic crime films from director Josef von Sternberg, Underworld (1927) and The Docks of New York (1928). The height of Bancroft's career was 1929. He was nominated for a best actor Oscar for playing another hardened criminal in von Sternberg's Thunderbolt (1929) and he played a ruthless stock trader in The Wolf of Wall Street (file that one under the more things change the more they stay the same). 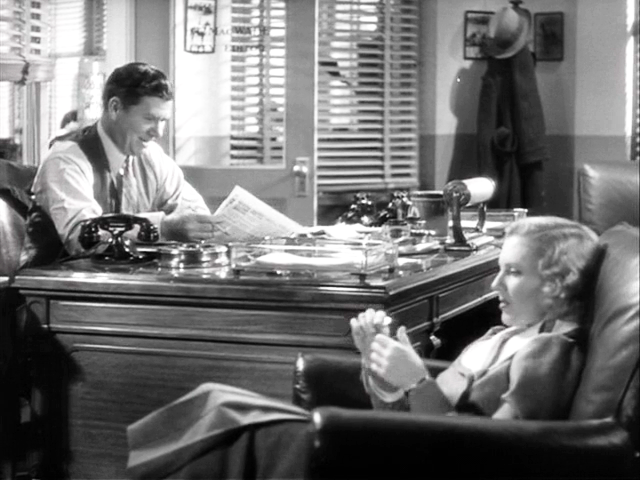 George Bancroft and Jean Arthur in Mr. Deeds Goes to Town (1936). Like many a silent star, Bancroft's career faded out in the early thirties, although The Wolf of Wall Street was a successful talkie. He resurfaced in 1936 as a character actor, playing Jean Arthur's cantankerous newspaper editor in Frank Capra's Mr. Deeds Goes to Town. Bancroft was a reliable character actor throughout the late thirties and early forties. He appeared in many memorable films, including playing Mickey Rooney's father in Young Tom Edison (1940) and returning to his roots as a Naval captain in Rulers of the Sea (1939). In the clip below, Bancroft plays a strict prison warden in Each Dawn I Die who gives James Cagney and George Raft a rundown on prison rules. The most important rule appears to be, "Keep your arms folded." Bancroft retired in 1942 to become a rancher. He and his wife, actress Octavia Broske, spent many happy years on the ranch until Bancroft passed away after a brief illness on Oct. 2, 1956. He is buried in the Woodlawn Cemetery in Santa Monica, Calif.